Unterstützung - Leader. Kosten: 2. 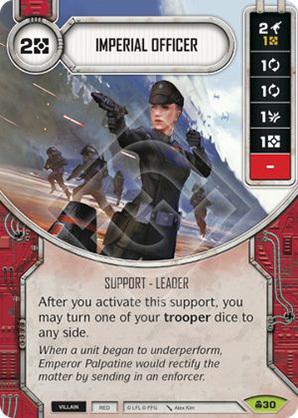 After you activate this support, you may turn one of your trooper dice to any side. When a unit began to underperform, Emperor Palpatine would rectify the matter by sending in an enforcer.